So You Think You Can Dance? Or Community Manage? Since my announcement yesterday, we’ve gotten a flood of resumes, emails, and tweets about the crowdSPRING Community Manager position. Several people have come to me and asked about the job description, saying “But Angeline, a snazzy resume and a witty email alone probably won’t get me this job? You want to see how well I can present myself and make you love me from afar? What does it all mean?” So, our brilliant Pete suggested that I help you all out, because isn’t that what a community is truly about? Learning, sharing, and growing with each other? So, to all of you crowdSPRING Community Manager hopefuls, here is the tale of one fair maiden and seven strapping lads. Sit around the campfire, ’cause it’s story time, and this one might actually help you out. 1. Tone – One of the biggest talking points around crowdSPRING is the tone of the copy throughout the site + our brand. We’re fun! Warm and fuzzy! Sorta cheeky! And seriously awesome! The Community Manager is in charge of interacting with people on and off-site, writing blog posts, and sometimes crafting copy to help out with PR / Marketing efforts. There are many people with good grammar and writing skills. However, it is crucial that you are able to be a great professional writer who can also nail the tone of our company. There is a super fine line between cheeky and annoying. If you can walk the right side of the line, then crowdSPRING wants you. 2. Personality – I can tell you right now that these guys did not hire me for my extensive qualifications in community management or social media. Before working here, I never looked at Mashable or Tech Crunch. I never went to a Tweetup. But I had developed and executed a viral marketing campaign for a band which landed them some serious exposure, managed street teams, worked at a ticketing startup, and dealt well with being in confined spaces with only males (try a tour bus with 12 of them, to be precise). The crew isn’t just looking for the typical social media marketer. They are looking for someone with that spark and passion for crowdSPRING – someone who understands the company and who they are as an organization and as individuals. We eat lunch together and will talk for hours over foreign policy, the Wall Street bailout, Wes Anderson films, and whether or not The Beatles were so famous because of their music or their marketing. We went to Lollapalooza together. We Photoshop each others’ heads on celebrities. You better be ready to bring some serious pasting + blending skills! 3. Motivation – Self-starters need apply. If you like practically being your own boss, coming up with your own duties, and developing great ideas and implementing them, then this job is for you. A huge part of this position is defining what your daily tasks include and shaping the direction of our Community section and social media strategy. 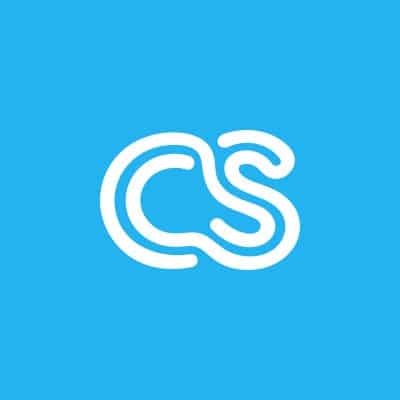 From day one, the only directions I’ve been given are to let as many people know about crowdSPRING as possible and to share, connect, and learn from others in the creative and tech fields. It’s up to you to make the most out of the freedom given to you. Sometimes there are long hours. We stayed past 11pm to test crowdSPRING Pro. Sometimes, customer service is a Saturday morning duty while making breakfast. But that’s okay, because we all believe in what we do. 4. Creativity – I know this should be obvious as crowdSPRING is the creative marketplace, but I cannot urge how important creativity is here. Whether it’s coming up with new word of mouth marketing ideas, functional elements for the site, or features for the blog, creativity is the key element that makes crowdSPRING exist. Sure, we are a startup, which automatically places us in the tech field. We love our iPhones, MacBooks, gizmos, and gadgets. But more than that, we love and appreciate innovation and thinking outside of the box. We applaud the “crazy ones” that come up with ideas that make our world better. 5. Proof – You really want this job? Go the extra mile to show your enthusiasm. What would you be doing as Community Manager? Do some form of it already, and show the crew! After applying for this position, I researched the company and social media in general. I visited the site daily, read the blogs, checked up on projects, and wondered what I could do that would set me apart from the inevitable throngs of resumes and cover letters that they would receive. Finally, it came in the form of a featured project with the band Phantom Planet on the front page. My current roommate was on tour with them at the time, and as luck would have it, they were playing in Los Angeles (where I lived) the next day. Determined to be crowdSPRING’s Community Manager, I grabbed my little handheld camera and asked Alex to give me a recommendation. We love being amused and impressed. So please, do it! Click here to apply for the Community Manager position.